Learn more about the ins and outs of your turbo, and how to give it the necessary TLC for a longer, more efficient life with your vehicle. Firstly, to simplify, a reconditioned turbo provides better fuel economy and better performance. Reconditioned turbos are a basic air pump that pushes a volume of air into the engine, which increases the power and the output. The reconditioned turbo is driven by a turbine in the exhaust system. The more exhaust gas that flows, the more air is pumped into the engine. In most automotive and some other applications, a wastegate is provided which opens as the intake system is raised to preset the level set by the reconditioned turbos. A wastegate essentially is a safety device dumping the excess exhaust gas away from the turbo preventing the reconditioned turbo over boosting. As a reconditioned turbo pumps and compresses air into the engine, the temperature of the air rises. To help reduce this temperature and keep the turbo efficient, many manufacturers have been adding intercoolers. An intercooler is a radiator for air, and is usually in front or to the side of the main radiator. 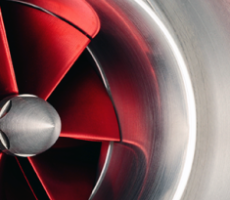 Turbos can operate at very high RPMs, depending on the vehicle, make and model. When Turbo Clinc supply you with a reconditioned turbo, you can be assured that they are tested up to and above these speeds. This is only achieved on a VSR machine (vibration sort rig) these machines increase the life span of the turbo and prevent reconditioned turbos being noisy. The lifespan of your reconditioned turbo can also be improved by keeping the oil supply full and clean to ensure proper lubrication of essential bearings. Complications arise when the oil supply drops or becomes contaminated, leading to serious turbo damage. Did you know that lack of oil or contaminated oil is the most common factor in turbocharger failure? Turbo failure is also caused by particles, small and large, entering the air stream from intake. In order to minimise this type of failure, always remember to check your air filter and ducting to make sure it is clean, clear and functioning correctly. A less common reason for turbo failure is foreign objects from within the engine leaving through the vehicle’s exhaust system. Objects such as broken engine parts, nuts and bolts will cause considerable damage, as well as carbon. 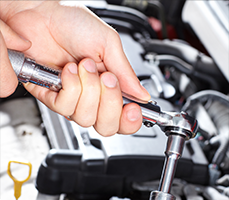 Change your vehicle’s oil every 5,000-10,000 miles, depending on the manufacturer’s specifications. When you change the oil, remember to prime your turbo with oil. This can be done by cranking the engine over until full oil pressure is achieved. 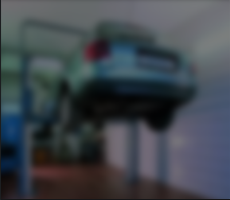 Do not use cleaning additives or engine flush, this only loosens particles and other debris. Do not rev your engine during warm up – the turbo may not yet have enough oil supply. When stopping your vehicle, always let the engine idle for around 15 seconds. This is because the turbo is still free spinning even when the engine is off and the oil supply is cut off.